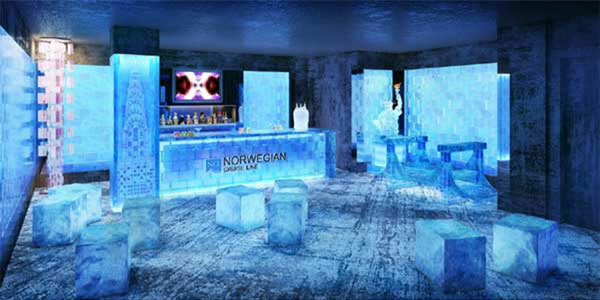 Ice sculptures, glasses and seats make for a cool way to enjoy a drink aboard Norwegian Breakaway. Guests will be given hooded coats and gloves on entry and will also have the choice of two non-alcoholic beverages including the Lady Liberty, made of strawberry puree, pineapple juice and lemon juice and the Coney Island, made of orange juice, vanilla ice cream and milk. The 4,000-passenger Norwegian Breakaway will sail on seven-day cruises to Bermuda from 12 May 2013 ahead of an array of itineraries calling into The Bahamas, Florida and the Southern Caribbean from October 2013 to April 2014.